DC's new edition of its Infinite Crisis Omnibus was the top reordered hardcover and top reordered item overall in dollars spent by retailers. It went on sale June 13. Marvel's Fresh Start launch of Thor #1, which previously appeared in the advance reorder charts, was the top-reordered comic book of the week. It also went on sale June 13. 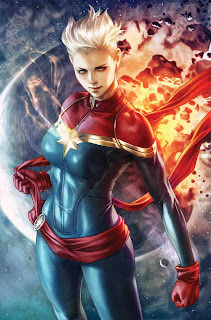 The Artgerm variant of Life of Captain Marvel #1 from Marvel was the top advance-reordered comic book. It goes on sale July 18. Justice League #4 from DC was right behind it — it goes on sale the same day. 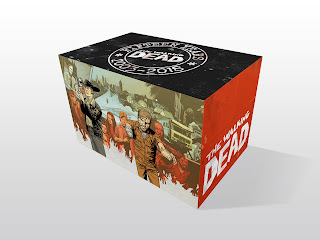 And they don't go on sale until Oct. 10, but solicitations were taken for the Walking Dead 15th Anniversary Blind Bag editions — variants of previously released comics shipped in bags to hide their covers. Twelve made the list, led by #1. Once again this week, no hardcovers or softcovers made the list. 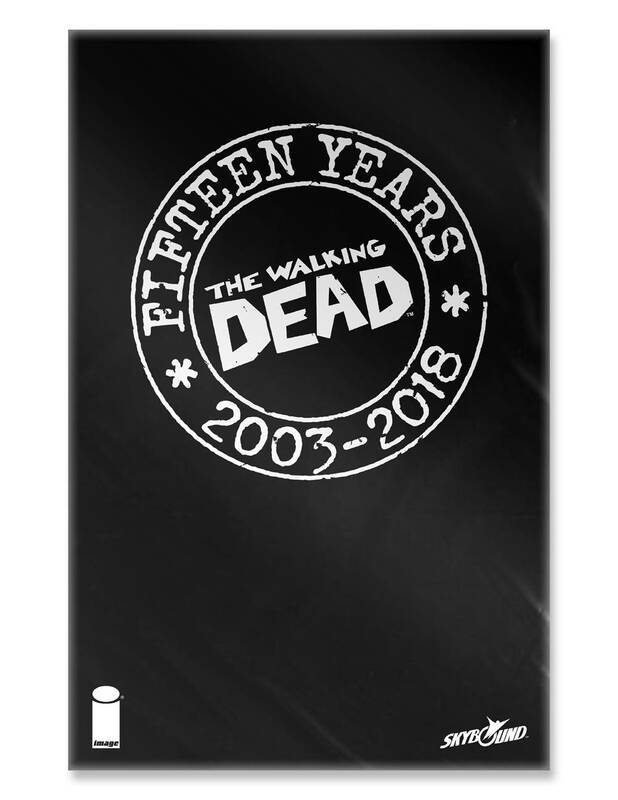 We've seen enough reorders and advance from the past few weeks from Diamond Comic Distributors to be able to collate some information onto pages for June 2018 and July 2018. Check them out for a further glance at the future. 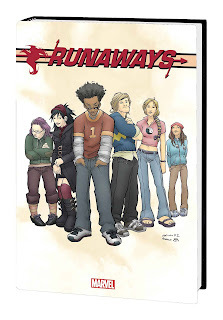 The top reordered item and top reordered hardcover by dollars is the Runaways Omnibus, which came out on June 6. The top reordered comic book was Justice League #1, from DC. It also went on sale on June 6. Man of Steel #1 also made the reorder charts, which usually means it's sold through the portion of copies that its numbers in May were reduced by for returnability. The second issue made the list as well. 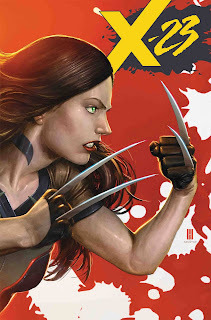 X-23 #1 from Mariko Tamaki and Juan Cabal was the top comic book in advance reorders. On sale on July 11, it's the beneficiary of a deep discount connected to retailers' orders of X-Men Red #3. Immortal Hulk #1 is up to a second printing, which placed second. Justice League Odyssey #1 was the top advance-reordered DC book. No hardcovers or softcovers made the list. 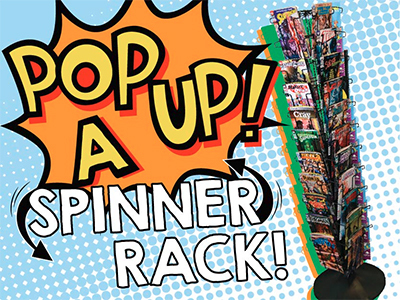 The spinner rack — the rotating wire display with pockets shelving comics — has a bit of a checkered past in comics history, but it's also a familiar icon with a convenient share for retailing. It's now being employed by Diamond Comic Distributors in a just-announced program to put pop-up comics stands in places that haven't had comics in a long time. The spinner rack as a vehicle to get comics into places they weren't is interesting in hindsight, because while many collectors recall them with fond nostalgia, the cold retailing history was that the spinner rack was originally developed not as a showcase, but as a response to 20th century newsstands and grocers who found comics unprofitable and undesirable, and who wanted them off their magazine shelves. Sticking them all onto a standing rack allowed newsstand owners to stick them off into a corner — "a place for comics to go and die," as one observer recollected. In practice, of course, comics fans followed the books there, with many developing a fondness for the displays — enough so that the "Hey Kids! Comics!" label atop spinners became a slogan reclaimed by fans (it was even Heidi MacDonald's column title for a time in Comics Buyer's Guide). And even after most comics sales had migrated to comics shops, the racks have proved popular enough that shop owners and fans alike have sought them out (including via a successful Kickstarter earlier this year which raised $95,000). It's highly unlikely that any of the outlets taking the pop-ups would have been ones that exiled comics to the spinners decades ago — but the fact that the spinner is being employed as a way back into wider distribution is interesting. And since the terms for the books on those racks will be different — and because the titles will be curated rather than selected randomly and shoved haphazardly in, as in the bad old days — there's a better chance that this century, they'll be profitable enough to stay. As reported here in greater detail on Friday, April's strong sales continued into May, with the month beating any one from 2017. 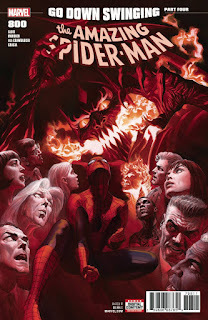 We've now got our estimates for the individual title sales for the month, and they make Amazing Spider-Man #800 the second book in two months to top 400,000 copies. Further, April's leader, Action Comics #1000, piled up even more sales, passing 500,000 copies in North America, as expected — meaning that both issues have a nearly even dollar value at full retail of around $4 million. 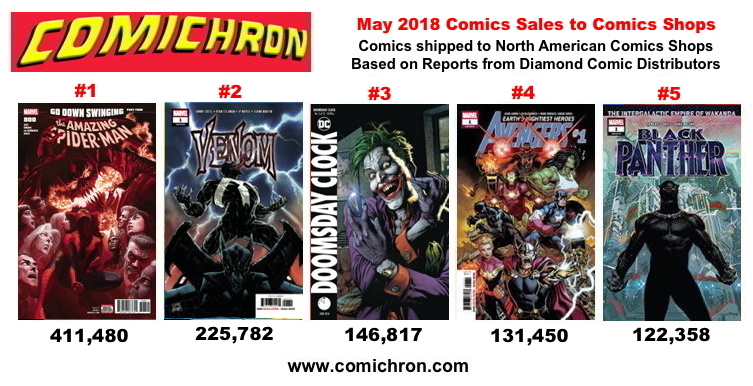 Click to see the comics sales charts for May 2018. We have also updated our running sales tally for 2018, and two books from May made the Top 5: Spidey's issue, of course, and Venom #1, which shipped more than 225,000 copies. 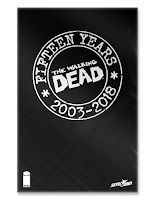 The influence of the top-sellers resulted in the average weighted price of comics ordered by shops to vault to $4.40, blowing away the previous record of $4.18 set in November 2015. (See other modern-era sales records.) The average cost of comics offered (rather than ordered) was $3.93, about normal for this year. We have a video walkthrough of the month's preliminary sales report; be sure to take a look. Earlier last week I tweeted that this May had a decent shot at beating the same month a year earlier, despite that month having the best sales of 2017. Both months had five weeks, and May 2018 had some major events, including the top-selling Amazing Spider-Man #800, Man of Steel #1, and a hit Avengers movie in theaters all month (not to mention Deadpool and a Star Wars film). This May beat last May by nearly 2% and came close to flirting with the $50 million level. 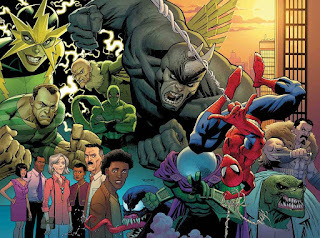 Marvel dollar sales saw significant year-over-year improvement, as did those of Image; total Marvel titles shipped to market exceeded $20 million, the best figure for the company since June 2016. May's unit sales for comics were down versus last May as reported by Diamond — but there were a couple of things going on, the first of which resulted in the asterisks we've placed above. First and most important, last May included the 25-cent Saga #43, which sold in the hundreds of thousands of copies; this May included DC Nation #0, likewise priced at a quarter and selling a reported million copies. But while both comics were included in calculations for Image and DC's market shares respectively, our calculations show that unlike Saga #43, DC Nation #0 sales were not included in the computation of Diamond's year-over-year industry-wide comics unit sales. Diamond would have faced a difficult choice with the issue: Free Comic Book Day issues — which DC Nation essentially served the role of for DC this year — are traditionally not included in either the percentage change table or unit market shares. They'd distort the comparisons too much. Yet comics with a nominal cover price — even 25¢ — traditionally have been counted toward both the percentage change tables and market shares. But a million promotional-rate copies is a lot, and would have wreaked a lot of havoc on the percentage-change tables, so it appears Diamond compromised here, giving DC its market share credit, while protecting the more important all-industry measures from distortion. Because Saga #43 was included for percentage-change purposes last year, the decision has the effect of making the unit sales change number for this month look worse than it is. 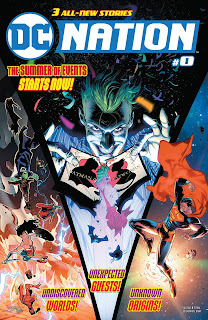 If we calculate DC Nation #0 as representing an exact million copies, then comics unit sales would have been up 16.5% over April, rather than 3%; sales versus last may would have been up 3.5% rather than down 8.65%; and year-to-date sales would have been down 7.3% rather than close to 9.8%. I do not intend to alter the charts, but will serve reminders here as necessary that 2018 has something a million copies not counted that would have been counted in previous years. The other thing of note regarding unit sales is that this May saw 10% fewer new comics offered to market — 472 versus 527 last May, 55 fewer new releases. That more than accounts for the difference in unit sales, quarter-book complications aside. Marvel had four of the top 10 comics (including three Fresh Start launches), DC had five, and Image one. Several of the best sellers came out on the last week of the month, so they'll see significant traffic next month. Man of Steel #1's asterisk means it was returnable; unlike everything else in the top ten, it had no variants. The graphic novel sector has lagged all year, though it's only off single digits now. While 8% percent more new graphic novels were offered, 8% fewer dollars were made from them — a consequence, possibly, of retailers splitting up graphic novel dollars to stock Infinity War-related titles. The 2011 printing of Infinity Gauntlet led reorders for most of the month (and it is still continuing to), and those combined to beat any new graphic novel out there in dollars. It just missed being the top graphic novel by units, because the $7.99 Star Wars: Tag & Bink Were Here #1 from Marvel was counted in the category. I'm a guest at All-Star Comic-Con in Tysons Corners, Virginia this weekend; look for the estimates on our May 2018 comics chart sales page next week when I return.